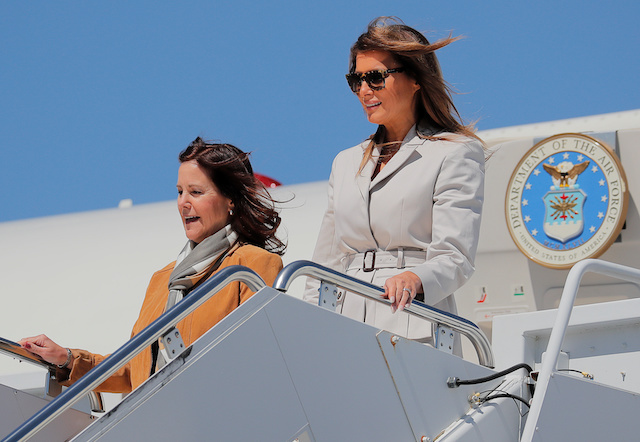 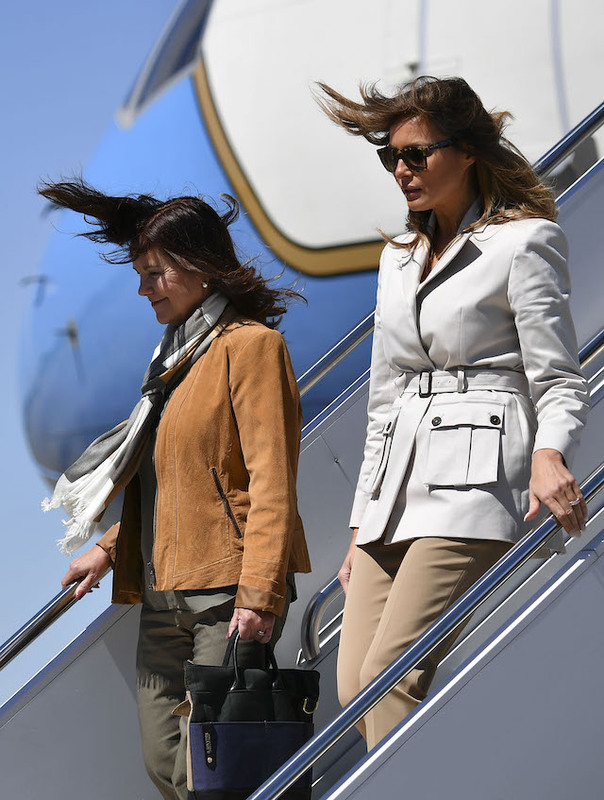 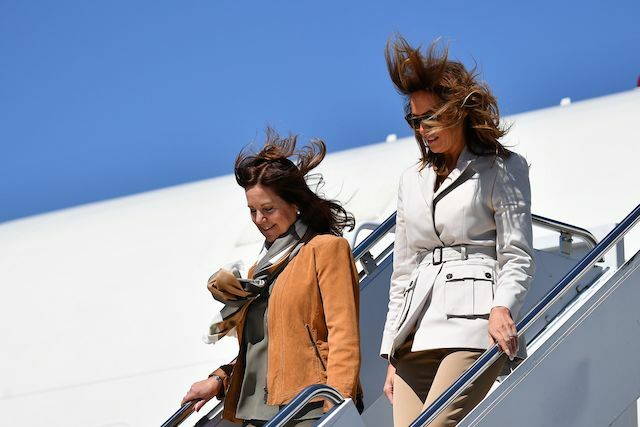 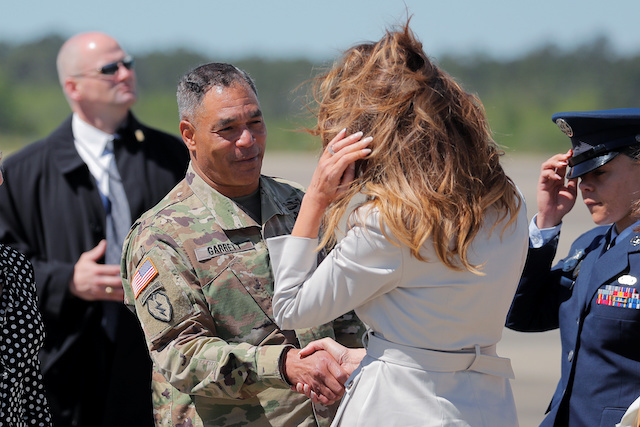 Melania Trump definitely turned heads Monday when she stepped out wearing a gorgeous khaki jacket and pants combo during her trip to Fayetteville, North Carolina with Karen Pence. 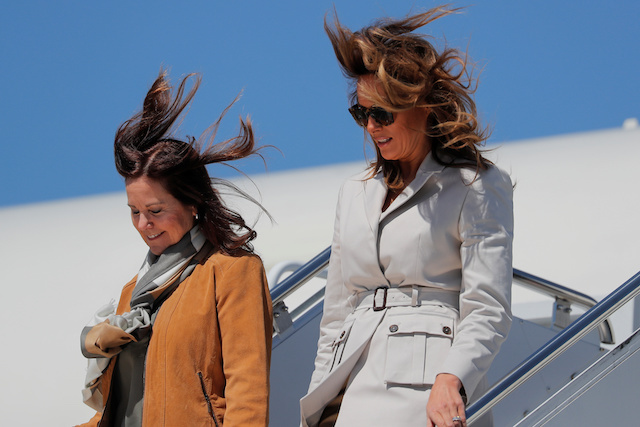 The first lady always looks perfect no matter what the occasion. 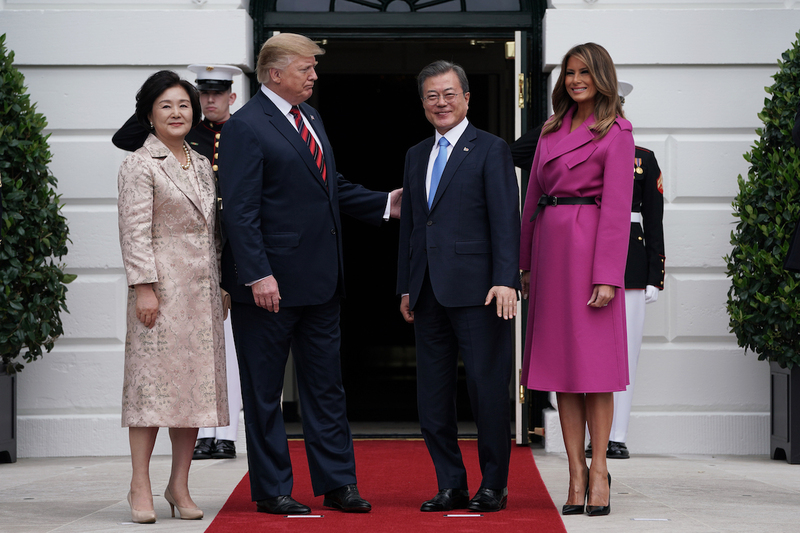 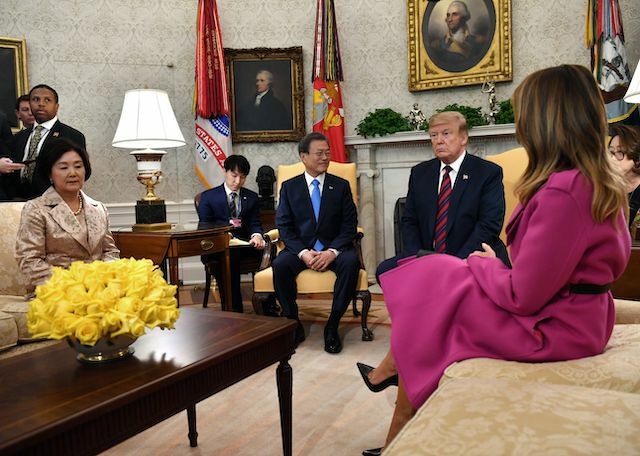 Most recently, she stunned when she showed up in a hot pink coat when she and President Donald Trump greeted South Korea President Moon Jae-in and his wife Kim Jung-sook at the White House last week. 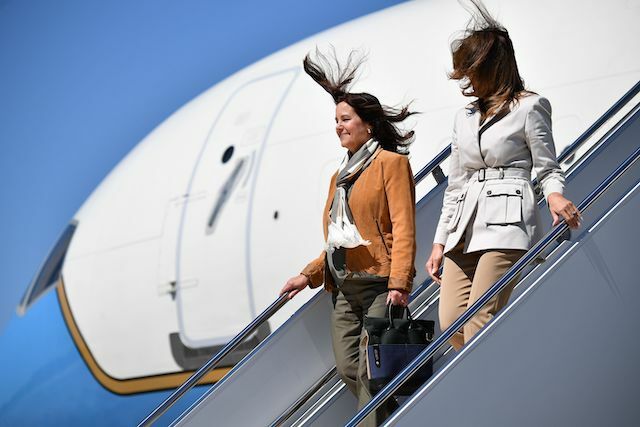 Check out some of her other unforgettable looks here.